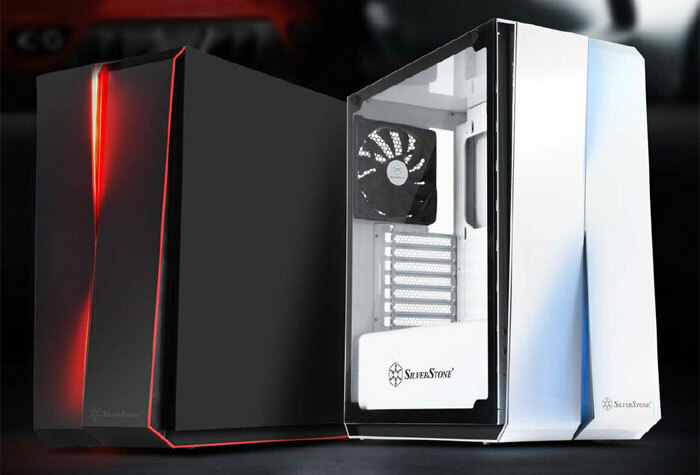 PC chassis, cooling, and PSU specialist SilverStone has released its RedLine RL07 series mid-tower designs to retail. 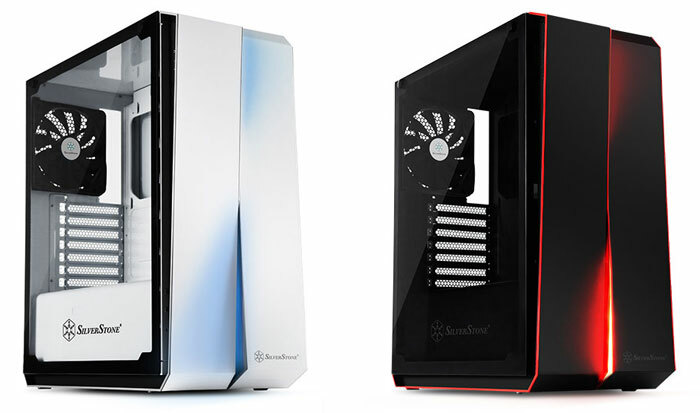 These ATX chassis were first shown off at Computex Taipei, this summer, and sport a stylish but unfussy design. Available in black (with blue LED lighting) or white (with red LED lighting) the designs feature a large tempered glass side panel with an asymmetrically vertically split front from which the LED lighting emerges. Inside you will see that the black or white finish continues, and the interior is split horizontally into two compartments, as is common nowadays. In the lower section it is intended that users install their PSU and storage devices with the more glamorous components on display through the glass. Other niceties of the design not evident from the tech specs list are the inclusion of tool-less drive trays, quick access dust filter, motherboard back opening for quick CPU cooler assembly, and a smart back-side cable routing design. According to the news source, TechPowerUp, these chassis are now available; however we don't have pricing details at the time of writing. SilverStone hints that the pricing will be attractive, as the new chassis feature "details often only available on cases costing much more" (and the Redline RL05 design from last year costs £59.99, so this shouldn't be much more). If you are interested in the Redline RL07 chassis it's probably worth waiting a few days before checking with your regular online PC components dealer. Shame we're stuck with blue or red. You'd think RGB is a must at this point. I must be colourblind, but I can clearly see the black chassis having red lighting and the white one having blue lighting.